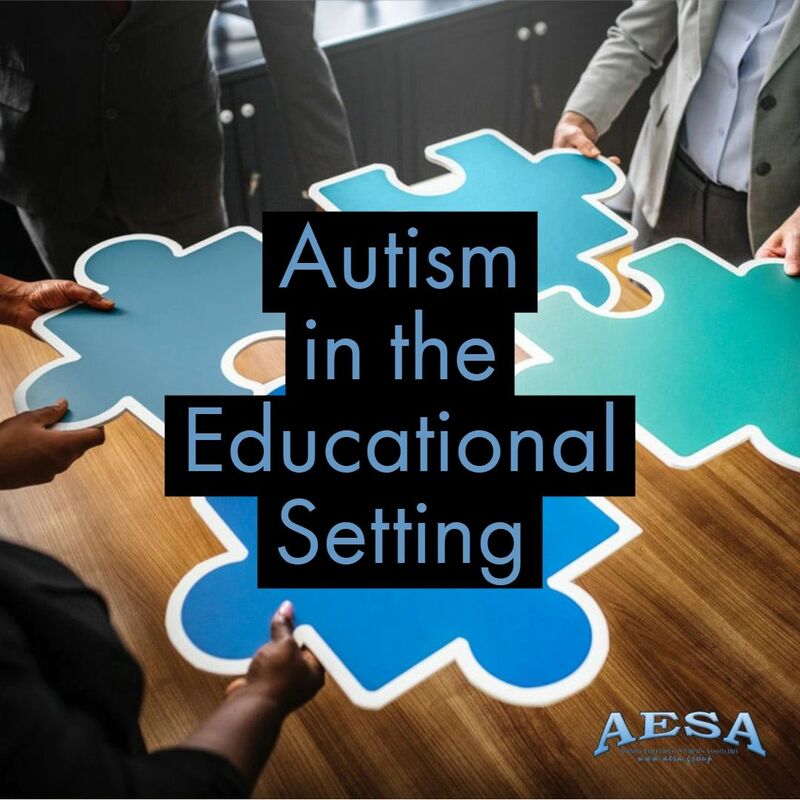 This is a big post for me to tackle, and I hope you will find it answers many of the questions you have concerning Autism in the educational setting. Many parents, including myself in the beginning of my journey, did not understand there is a difference between medical and educational diagnoses and therapies. There is a medical definition of autism as defined by the DSM V and the educational definition of Autism as defined by IDEA and may be further refined (though should not be more restrictive, because that could possibly be a violation of the federal supremacy clause) by your state. If you need help finding your state’s information then you are welcome join the IEP/504 Assistance group on Facebook for some advice and help. The same is true for therapy. There is medical therapy, which looks to make a child “whole” across all areas of life while educational therapy looks to make a child “functional” in the educational environment. Public schools have an obligation to make a child “functional” to ensure that all children with disabilities have available to them a free appropriate public education that emphasizes special education and related services designed to meet their unique needs and prepare them for further education, employment, and independent living as stated in the purpose of IDEA. Personally, I like medical therapy better than educational therapy for a few reasons. One is that you do not need to convene an IEP meeting and then convince the team your child needs more services. For medical therapy you see your child’s pediatrician and convince the doctor that your child needs more therapy. I tend to find this vastly easier than getting more services from the school. The second reason is because therapy in the educational setting is often led by therapy assistants, or the special education teacher, in group sessions. Medical therapy is normally a 1:1 session with a qualified therapist (OT, PT, and/or Speech) versus a therapy assistant. Keep in mind too that therapy assistants cannot practice without having supervision of a qualified therapist. In the educational setting it is not uncommon to find these therapy assistants are not being properly supervised so it is good to keep track of how your child is doing if they are working with a therapy assistant in the public school and to find out how often the lead therapist is supervising the therapy assistant’s work. The third reason I like medical therapy versus educational therapy is that if a child qualifies for educational therapy they would have qualified for medical therapy a long time ago. The bar to reach to qualify medical therapy is “easier” to get to versus educational therapy. I am a FIRM believer in therapy as I think therapy is essential to help a child resolve some issues that are impeding learning. For medical autism, the doctor, psychologist, or similar medical professional will use the Diagnostic and Statistical Manual, fifth edition (DSM V). This diagnosis focuses on persistent deficits in social communication and social interaction across multiple contexts, as manifested currently or by history; restricted, repetitive patterns of behavior, interests, or activities, as manifested by at least two of the following, currently or by history; symptoms must be present in the early developmental period (but may not become fully manifest until social demands exceed limited capacities, or may be masked by learned strategies in later life); symptoms cause clinically significant impairment in social, occupational, or other important areas of current functioning; and these disturbances are not better explained by intellectual disability. (i)Autism means a developmental disability significantly affecting verbal and nonverbal communication and social interaction, generally evident before age three, that adversely affects a child’s educational performance. Other characteristics often associated with autism are engagement in repetitive activities and stereotyped movements, resistance to environmental change or change in daily routines, and unusual responses to sensory experiences. This is the educational eligibility for Autism. When you have an IEP meeting to discuss eligibility you will want to bring in documentation, and make an argument, for your child meeting this definition if you are seeking Autism as the primary eligibility for your child’s IEP. Since Autism is a spectrum, it can be hard to get children who have more Asperger-like qualities classified with educational autism, along with those who are 2e and have autism since being gifted can “hide” areas of disability. Does this mean your child shouldn’t qualify for services? No! Does it mean your child has to have bad grades to qualify for services? No! Children with medical autism can need anywhere from a Section 504 plan to an IEP. It depends on your child’s needs. That is ALWAYS, no matter the disability, what should be driving the consideration of placement and services. 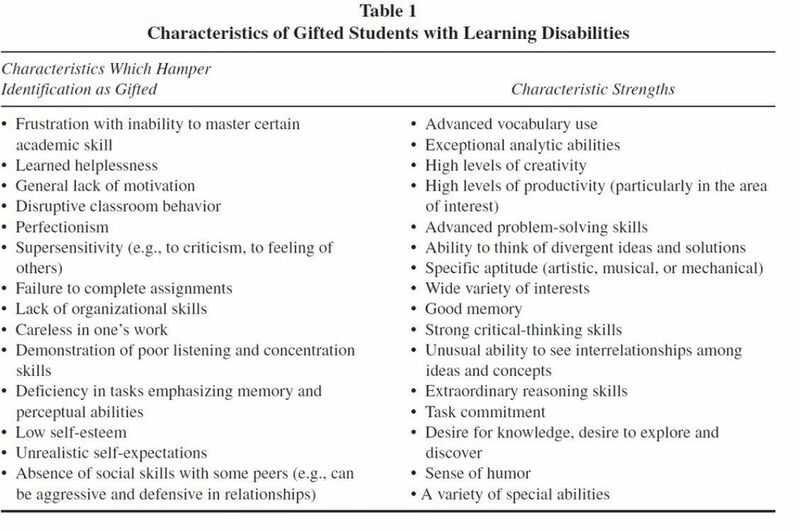 Children with ASD can be twice exceptional (2e) and/or have a high IQ/good grades. A child CAN be academically gifted and STILL need an IEP. This is in the very definition of FAPE. Children with Autism, even “mild” or “high-functioning” autism, will likely need an IEP versus a 504. Why? A 504 does not cover goals and it does not cover possible curriculum modifications that may be needed for the child. A child with autism often needs goals and assistance with social/emotional skills, executive functioning skills, and figurative/pragmatic/social language. IDEA states that a child does not have to fail or be retained to be considered for special education and related services. 34 C.F.R. §300.101(c). A child who is making good grades may still need special instruction and related services. Effort does not mean a child is learning. Teachers give out grades based on many different factors. These kinds of grades do not mean a child is learning. Almost all teachers will do this. They do not want to fail a child who is trying. The OSEP Letter to Delisle discussed the use of an IEP for children with high cognition and Specific Learning Disabilities (SLDs). In an April 2015 memorandum from OSEP “Letter to Delisle: Children with disabilities with high cognition,” discusses twice exceptional children and their need for special education services as addressed under IDEA. The April 2015 memorandum expands on the original Letter to Delisle saying children with high cognition can have an IEP under any of the 13 categories recognized by IDEA. Don’t let the schools deter you evaluating your child for an IEP if they are making “good grades” or your child has high cognition. Goals for social needs are important for children with autism. Children with ASD have a difficult time interacting with peers due to missing the social nuances of personal relationships. Peer interactions are important because they can influence academic, social-emotional, and mental health outcomes. 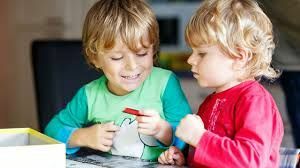 For neurotypical children, peer interactions contribute to refining of social skills, engage in “typical” leisure activities, and access to emotional support. It is assumed that children with ASD also benefit from successful peer interaction. Due to educational inclusion practices children with disabilities have more opportunities than ever to interact with typically developing peers. This makes social deficits important to address. In a January 2017 study by Chiang, Ni, and Lee, discuss how 78% of students with Autism leave high school and STILL need assistance with life skills. Life skills can be grouped into five areas including: self-care and domestic living, recreation and leisure, social interaction, employment, and community participation. It is estimated that less than half of the secondary students with ASD would participate in postsecondary education after leaving high school and slightly higher than half of the high school leavers with ASD would have a paid job. About 57% of children with ASD have co-occurring intellectual disability (ID) or borderline intellectual functioning. Students with ASD who also have ID show poorer postsecondary outcomes than students with ASD who do not have ID. Individuals with ASD tend to have poorer life skills than would be expected by their cognitive abilities. Many students with disabilities do not learn life skills on their own, thus, they need to be specifically taught these skills. Teaching life skills has been regarded as an evidence-based practice, especially for secondary transition. Lifelong adaptive functioning intervention should be offered to people with ASD (Matthews et al. 2015). This study found that students with ASD needed life skills training after high school. For the students who had received life skills training in school, the majority of them (78%) still needed life skills training after high school. For the students who had never received life skills training in school, about 29% of them were reported by their parents to need life skills training after high school. These findings indicate that individuals with ASD have an ongoing need for life skills training. Many individuals with ASD may need a significant amount of time to acquire life skills. Yet, some students may not realize they need life skills training until the needs exceed capacity. In terms of the specific life skills needs after high school, this study found that the most needed training was to deal with financial issues followed by relationship skills development. In a September 2017 article by Hebron, young people with autism may face many educational challenges, particularly in terms of academic achievement, social inclusion, and mental health. School connectedness is linked to many positive outcomes and may be of particular salience at the primary-secondary school transition, when young people with ASD are expected to cope in new and unfamiliar settings. This study explores for the first time school connectedness across the primary to secondary school transition for young people with ASD. Students with ASD reported positive levels of school connectedness across transition, although their scores remained lower than those of their typically developing peers. The gap between the two groups narrowed significantly during the first year of secondary school, with students in the ASD group reporting improving levels of school connectedness, although there were non-significant signs of a decline for both groups in the second year. Transition can be a positive experience for students with ASD. However, their consistently lower levels of school connectedness compared to those of their peers highlight the need for ongoing monitoring and support during secondary education. In a paper from Karal and Wolfe (2018), social stories frequently have been used to improve the social interaction of students with ASD. The study conducted a literature review and examined the effectiveness of social story interventions on the social interactions of students with ASD including with whom, where, and what formats have been implemented, as well as the methodological rigor of the research. Findings indicate preliminary evidence to suggest that social stories are a promising intervention to increase social interactions. Future research with methodological rigor is needed to reveal the most effective strategy for developing and implementing social story interventions. In a randomized control trial of a school-based intervention, Mackay, Shochet, Orr offered resilience intervention to prevent depressive symptoms for young adolescents with ASD. Adolescents with ASD are at risk of increased depression and effective prevention approaches for this population are limited. A mixed methods pilot randomized controlled trial (N = 29) of the evidence-based Resourceful Adolescent Program-Autism Spectrum Disorder (RAP-A-ASD) designed to prevent depression was conducted in schools with adolescents with ASD in years 6 and 7. Quantitative results showed significant intervention effects on parent reports of adolescent coping self-efficacy (maintained at 6 month follow-up) but no effect on depressive symptoms or mental health. Qualitative outcomes reflected perceived improvements from the intervention for adolescents’ coping self-efficacy, self-confidence, social skills, and affect regulation. Converging results remain encouraging given this population’s difficulties coping with adversity, managing emotions and interacting socially which strongly influence developmental outcomes. As you can see, there are many reasons to be proactive and seek social/emotional interventions and goals. 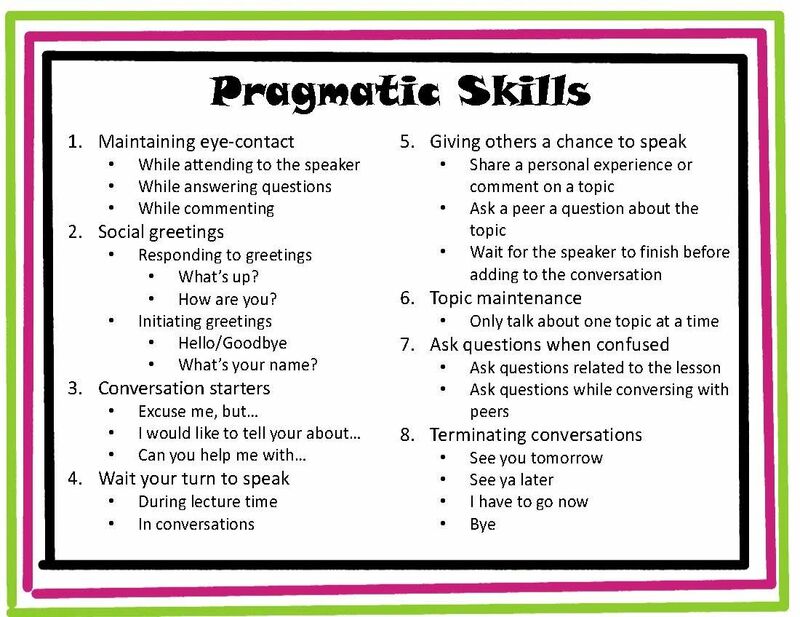 Beyond social/emotional intervention, there is often a need for figurative/pragmatic language intervention and goals. A 2017 study by Parsons et al. 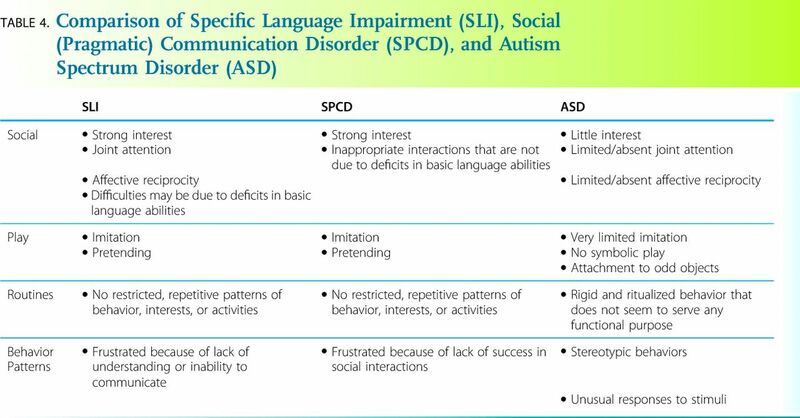 discusses core characteristics of ASD is a deficiency in social communication and interaction. A wide range of verbal language abilities are reported in individuals with ASD, but a striking feature about their language profile is a universal impairment in pragmatic language. This review will focus on interventions that target the pragmatic aspect of language. Early definitions of pragmatic language refer to the use of language in context; encompassing the verbal, paralinguistic and non-verbal aspects of language. 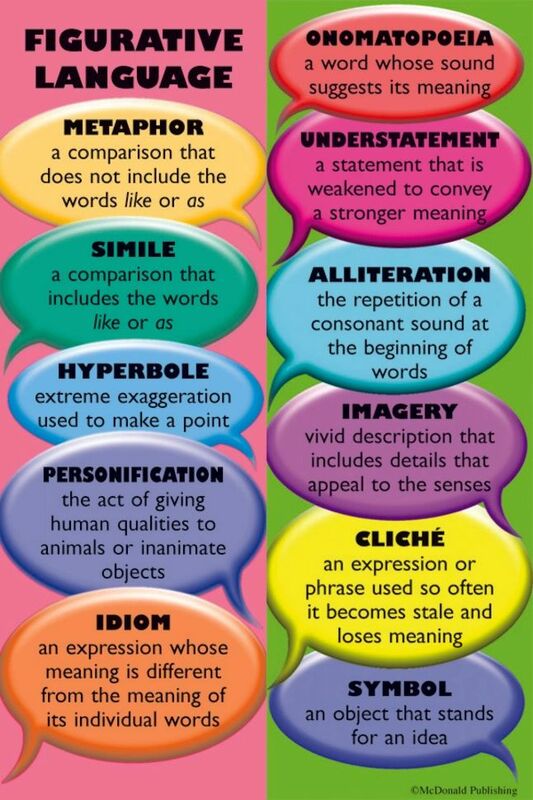 Contemporary definitions have expanded beyond just communicative functions to include behavior that includes social, emotional, and communicative aspects of language. Some children with high-functioning autism have been medically diagnosed with Social Pragmatic Communication Disorder versus Autism. In a 2017 study by Mandy el al., evaluated Social (pragmatic) communication disorder (SPCD). It is a new diagnosis introduced by DSM-5, characterized by problems with verbal and nonverbal social communication. It is currently unclear whether SPCD is a valid diagnostic category, because little is known about the characteristics of those who meet its criteria. We sought to identify and describe cases of SPCD, to contribute to debates about its validity. Mandy el al. investigated whether the symptoms of SPCD cluster together to form a coherent syndrome that is distinct from ASD in terms of its core and associated features. We did not find evidence that SPCD is qualitatively distinct from ASD. 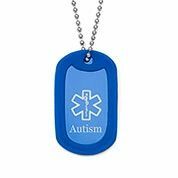 Rather, it appears to lie on the borderlands of the autism spectrum, describing those with autistic traits that fall just below the threshold for an ASD diagnosis. SPCD may have clinical utility for identifying people with autistic traits that are insufficiently severe for ASD diagnosis, but who nevertheless require support. A study by Randall et al discusses the importance of addressing Sensory Processing Disorder (SPD) in individuals with ASD. ASD is a common, lifelong condition, affecting 1 in 100 people. ASD affects how a person relates to others and the world around them. Difficulty responding to sensory information (noise, touch, movement, taste, sight) is common, and might include feeling overwhelmed or distressed by loud or constant low-level noise (e.g. in the classroom). Affected children may also show little or no response to these sensory cues. These ‘sensory processing difficulties’ are associated with behavior and socialization problems, and affect education, relationships, and participation in daily life. 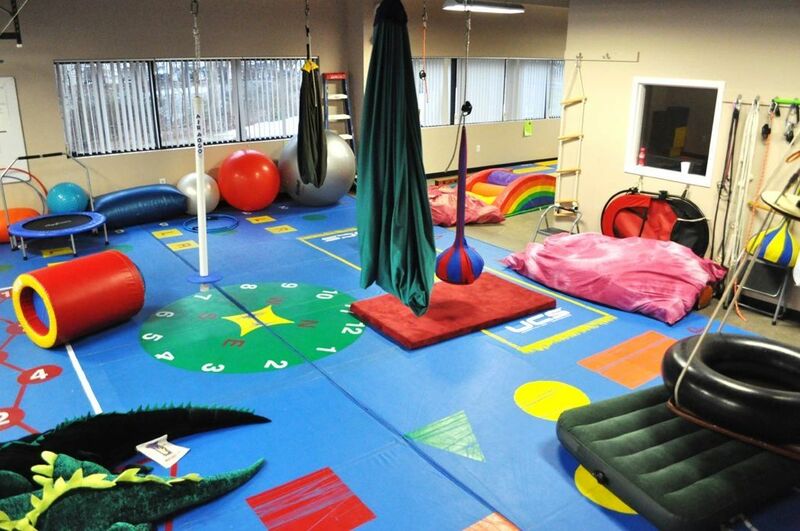 Sensory integration therapy (SIT) is a face-to-face therapy or treatment provided by trained occupational therapists who use play-based sensory-motor activities and the just-right challenge to influence the way the child responds to sensation, reducing distress, and improving motor skills, adaptive responses, concentration, and interaction with others. With limited research into SIT, this protocol describes in detail how the intervention will be defined and evaluated. This study is a two-arm pragmatic individually 1:1 randomized controlled trial with an internal pilot of SIT versus usual care for primary school aged children (aged 4 to 11 years) with ASD and sensory processing difficulties. Therapy will be delivered in clinics for SIT over 26 weeks (face-to-face sessions: two per week for 10 weeks, two per month for 2 months; telephone call: one per month for 2 months). Follow-up assessments will be completed at 6 and 12 months post-randomization. Results of this trial provide high-quality evidence on the clinical and cost effectiveness of SIT aimed at improving behavioral, functional, social, educational, and well-being outcomes for children and well-being outcomes for carers and families. Voldent et al. discusses how impairments in the social use of language are universal in ASD, but few standardized measures evaluate communication skills above the level of individual words or sentences. This study evaluated the Expression, Reception, and Recall of Narrative Instrument (ERRNI; Bishop, 2004) to determine its contribution to assessing language and communicative impairment beyond the sentence level in children with ASD. A battery of assessments, including measures of cognition, language, pragmatics, severity of autism symptoms, and adaptive functioning, was administered to 74 8- to 9-year-old intellectually able children with ASD. Average performance on the ERRNI was significantly poorer than on the Clinical Evaluation of Language Fundamentals-Fourth Edition (CELF-4). In addition, ERRNI scores reflecting the number and quality of relevant story components included in the participants’ narratives were significantly positively related to scores on measures of nonverbal cognitive skill, language, and everyday adaptive communication, and significantly negatively correlated with the severity of affective autism symptoms. Results suggest that the ERRNI reveals discourse impairments that may not be identified by measures that focus on individual words and sentences. Overall, the ERRNI provides a useful measure of communicative skill beyond the sentence level in school-aged children with ASD. MacFarlane et al. conducted a study to examine deficits in social communication, particularly pragmatic language, are characteristic of individuals with ASD. Speech disfluencies may serve pragmatic functions such as cueing speaking problems. Previous studies have found that speakers with ASD differ from typically developing (TD) speakers in the types and patterns of disfluencies they produce, but fail to provide sufficiently detailed characterizations of the methods used to categorize and quantify disfluency, making cross-study comparison difficult. In this study we propose a simple schema for classifying major disfluency types, and use this schema in an exploratory analysis of differences in disfluency rates and patterns among children with ASD compared to TD and language impaired (SLI) groups. 115 children ages 4–8 participated in the study (ASD = 51; SLI = 20; TD = 44), completing a battery of experimental tasks and assessments. Measures of morphological and syntactic complexity, as well as word and disfluency counts, were derived from transcripts of the Autism Diagnostic Observation Schedule (ADOS). High inter-annotator agreement was obtained with the use of the proposed schema. Analyses showed ASD children produced a higher ratio of content to filler disfluencies than TD children. Relative frequencies of repetitions, revisions, and false starts did not differ significantly between groups. TD children also produced more cued disfluencies than ASD children. Kalandadze et al conducted a meta-analysis of studies that compare figurative language comprehension in individuals with autism spectrum disorder and in typically developing controls who were matched based on chronological age or/and language ability. A total of 41 studies and 45 independent effect sizes were included based on predetermined inclusion criteria. Overall, individuals with autism spectrum disorder showed poorer comprehension of figurative language than their typically developing peers (Hedges’ g = -0.57). Metaphors were more difficult to comprehend for individuals with autism spectrum disorder compared with typically developing controls than were irony and sarcasm. Our findings highlight the critical role of core language skills in figurative language comprehension. Interventions and educational programs designed to improve social communication skills in individuals with autism spectrum disorder may beneficially target core language skills in addition to social skills. 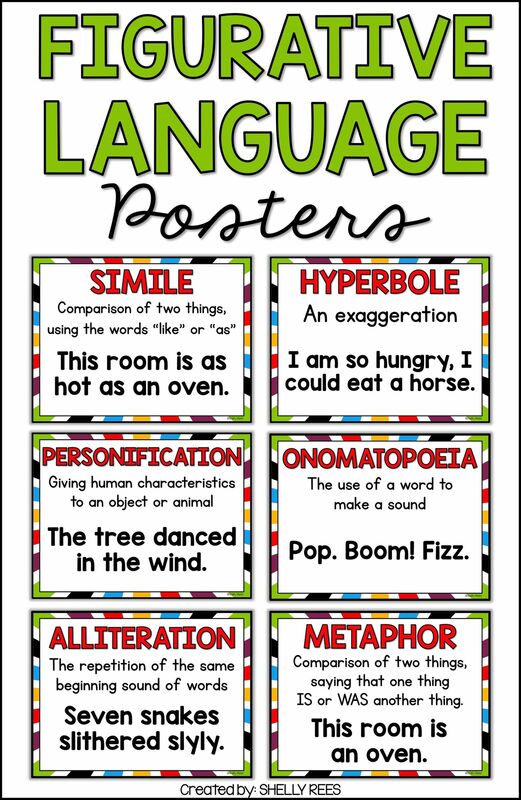 Chahboun et al study discusses the problems with figurative language comprehension. This issue has been often reported against strengths in the domain of structural language in individuals with high‐functioning autism. 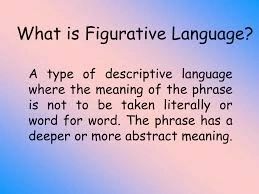 Accounts, however, differ when concerned with what causes these problems and whether figurative language processing is directly proportionate to structural language competence. Furthermore, little is known about whether understanding of non‐literal expressions is still atypical in the absence of structural language problems. Metaphor processing requires, among other things, an adequate level of structural language abilities. Our findings demonstrate that despite adequate language competence otherwise, there is still a developmental delay in our group of highly verbal participants with autism seen in the parallel performance by the young adult group with autism (age range = 16–22 years) and the control children group (10–12 years). This suggests a consistent problem with non‐literal language on the higher end of the spectrum, which persists also into young adulthood. The study highlights the need for special attention to figurative language comprehension in ASD in designing assessment and treatment protocols. The current results suggest a possible improvement with age and indicate how possible targeted intervention programmes can be designed that cater better for the needs of that specific group. Van Herwegen and Rundblad discuss how previous studies have shown that comprehension of figurative language is impaired in individuals with autism spectrum disorder (ASD). However, most studies have focused on lexicalized expressions and have only examined performance at one particular point in time, without examining how performance changes over development. The current study examined the comprehension of novel metaphor and metonymy in individuals with ASDs from a large age range, using both a cross-sectional (Experiment 1) and longitudinal design (Experiment 2). Performance in the ASD group was lower compared to typically developing (TD) controls, across all ages. Importantly, the results from Experiments 1 and 2 showed that, although chronological age was not a good predictor for performance of either novel metaphor or metonymy in the cross-sectional design, performance improved when longitudinal data was considered. Correlations between vocabulary knowledge, visuo-spatial abilities and figurative language comprehension abilities were also explored. Reynolds et al completed a study for children with ASD. The study demonstrates marked deficits in the ability to initiate, maintain and sustain meaningful social interaction. While the social-emotional deficits represent a core set of problems, persons with ASD also demonstrate significant problems in initiating, sustaining and maintaining appropriate goal directed behaviors. Emotional Intelligence (EI) is a construct that has been successfully applied to a range of skills that allow for the prediction of competent human social behavior. Executive Functions (EF) refer to constructs involving cognitive abilities necessary for initiating, sustaining and maintaining purposeful goal-oriented behavior. While both children and adults with ASD have previously shown to have atypical patterns of EF skills, little is known about EI in either children or adults with ASD. Moreover, there is no study examining the relationship between EI and EF that has been reported in individuals with ASD. The current study examined the relationship between EF and EI in children with ASD. Twenty children with ASD were compared to twenty neurotypical children on self-report and clinical assessments of EI and EF. Although the relationship between EF and EI was not statistically significant, results showed that children with ASD have deficits in interpersonal skills, intrapersonal skills and overall EI when compared to their neurotypical peers. These results suggest that EF and EI are relatively independent domains of development that show compromise in persons with ASD and each may be necessary to support typical socially directed behaviors. The study by Zimmerman et al indicated that better concept formation and social inference skills were significantly associated with fewer anxiety symptoms for adults with high functioning ASD. Conversely, participants with better non-verbal reasoning, cognitive flexibility and social cognition reported more negative self-concept and lower self-esteem. Those with impaired Executive Functioning (EF) are more prone to anxiety, whereas those with stronger EF are more likely to experience negative self-concept. Screening for and monitoring mental-health concerns in people with ASD regardless of their level of EF are recommended. The study by Lai et al researched the neuropsychological profiles seen in children and adolescents with High Functioning ASD. The study found most were moderately impaired in verbal working memory (g = 0.67), spatial working memory (g = 0.58), flexibility (g = 0.59), planning (g = 0.62), and generativity (g = 0.60) except for inhibition (g = 0.41). Subgroup analysis showed that impairments were still significant for flexibility (g = 0.57–0.61), generativity (g = 0.52–0.68), and working memory (g = 0.49–0.56) in a sample of autism spectrum disorder (ASD) subjects without comorbid ADHD or when the cognitive abilities of the ASD group and the control group were comparable. Karalunas et al conducted a study on Attention-deficit/hyperactivity disorder (ADHD) and autism spectrum disorder (ASD). ADHD and ASD are commonly comorbid, share genetic liability, and often exhibit overlapping cognitive impairments. Clarification of shared and distinct cognitive effects while considering comorbid symptoms across disorders has been lacking. In the current study, children ages 7–15 years assigned to three diagnostic groups:ADHD (n = 509), ASD (n = 97), and controls (n = 301) completed measures spanning the cognitive domains of attention/arousal, working memory, set-shifting, inhibition, and response variability. Specific processes contributing to response variability were examined using a drift diffusion model, which separately quantified drift rate (i.e., efficiency of information processing), boundary separation (i.e., speed-accuracy trade-offs), and non-decision time. Children with ADHD and ASD were impaired on attention/arousal, processing speed, working memory, and response inhibition but did not differ from controls on measures of delayed reward discounting, set-shifting, or interference control. Overall, impairments in the ASD group were not attributable to ADHD symptoms using either continuous symptom measures or latent categorical grouping approaches. Similarly, impairments in the ADHD group were not attributable to ASD symptoms. When specific RT parameters were considered, children with ADHD and ASD shared impairments in drift rate. However, children with ASD were uniquely characterized by a wider boundary separation. Findings suggest a combination of overlapping and unique patterns of cognitive impairment for children with ASD as compared to those with ADHD, particularly when the processes underlying reaction time measures are considered separately. Demetriou et al showed that evidence of executive dysfunction in ASD across development remains mixed and establishing its role is critical for guiding diagnosis and intervention. The primary objectives of this meta-analysis is to analyse executive function (EF) performance in ASD, the fractionation across EF subdomains, the clinical utility of EF measures and the influence of multiple moderators (for example, age, gender, diagnosis, measure characteristics). The Embase, Medline and PsychINFO databases were searched to identify peer-reviewed studies published since the inclusion of Autism in DSM-III (1980) up to end of June 2016 that compared EF in ASD with neurotypical controls. A random-effects model was used and moderators were tested using subgroup analysis. The primary outcome measure was Hedges’ g effect size for EF and moderator factors. Clinical sensitivity was determined by the overlap percentage statistic (OL%). Results were reported according to the PRISMA (Preferred Reporting Items for Systematic Reviews and Meta-Analyses) guidelines. A total of 235 studies comprising 14 081 participants were included (N, ASD=6816, Control=7265). A moderate overall effect size for reduced EF (Hedges’ g=0.48, 95% confidence interval (CI) 0.43–0.53) was found with similar effect sizes across each domain. The majority of moderator comparisons were not significant although the overall effect of executive dysfunction has gradually reduced since the introduction of ASD. Only a small number of EF measures achieved clinical sensitivity. This study confirms a broad executive dysfunction in ASD that is relatively stable across development. The fractionation of executive dysfunction into individual subdomains was not supported, nor was diagnostic sensitivity. Development of feasible EF measures focussing on clinical sensitivity for diagnosis and treatment studies should be a priority. Freeman et al discusses the lack of literature examining the relationship between executive and social functioning in children with ASD. Twenty-three school-aged children with ASD participated. 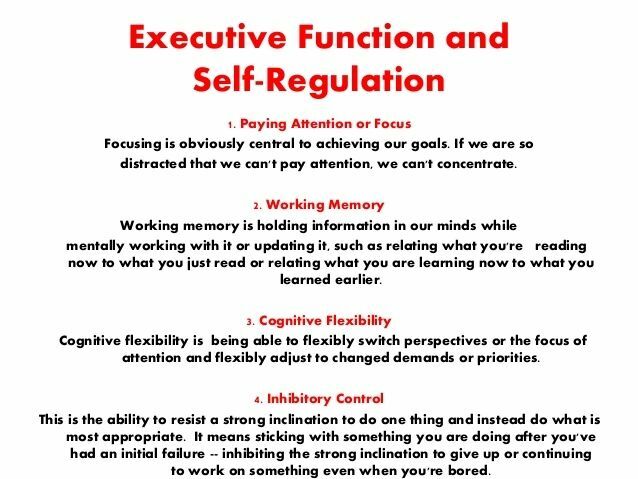 Executive functioning was measured using the Developmental Neuropsychological Assessment, Second Edition and Differential Ability Scales, Second Edition, and the teacher-rated Behavior Rating of Inventory of Executive Function. Independent assessors observed children’s social functioning on the playground while children with ASD and their peers completed a survey to measure peer friendships and rejections. Overall, poorer executive functioning was associated with increased playground isolation and less engagement with peers. This suggests that metacognitive skills such as initiation, working memory, and planning and organization are associated with children’s social functioning. Ryan and Marshall set out to understand executive functioning (EF) for learners with autism. We focus on learners with high functioning autism (HFA) and explore a common goal for an Autistic Spectrum Disordered (ASD) population is to increase independence, thus enabling access to experiences and opportunities similar to neuro-typical individuals. We suggest in a somewhat counterintuitive manner, educators may be preventing this development by being overly supportive. This can inhibit ASD learners by denying tools and opportunities to enable themselves. 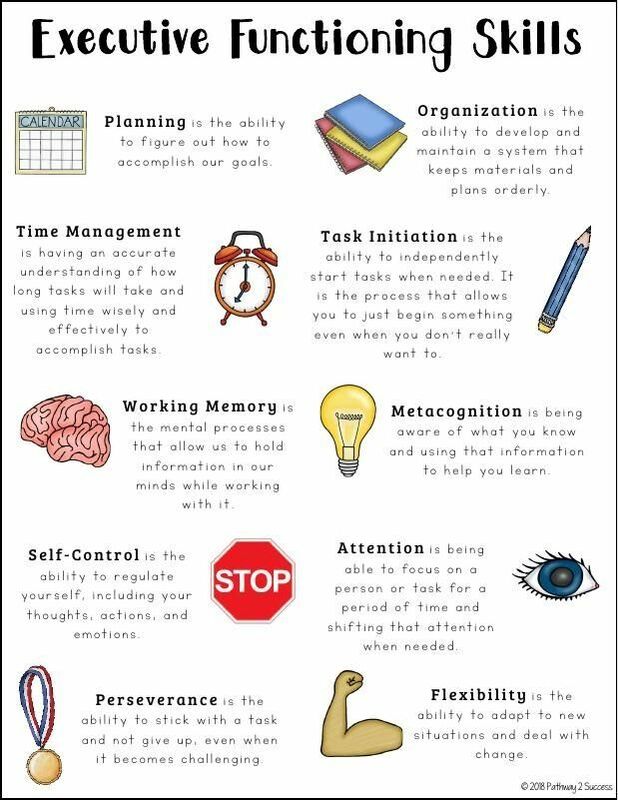 Executive functioning (EF) skills can be taken for granted by neuro-typical learners but are essential skills that need to be explicitly taught to those on the autism spectrum. Herein we support educators and understand the deficits that learners with high functioning ASD experience with EF skills and encourage all to set goals and design programming for students. I hope this post has been helpful. 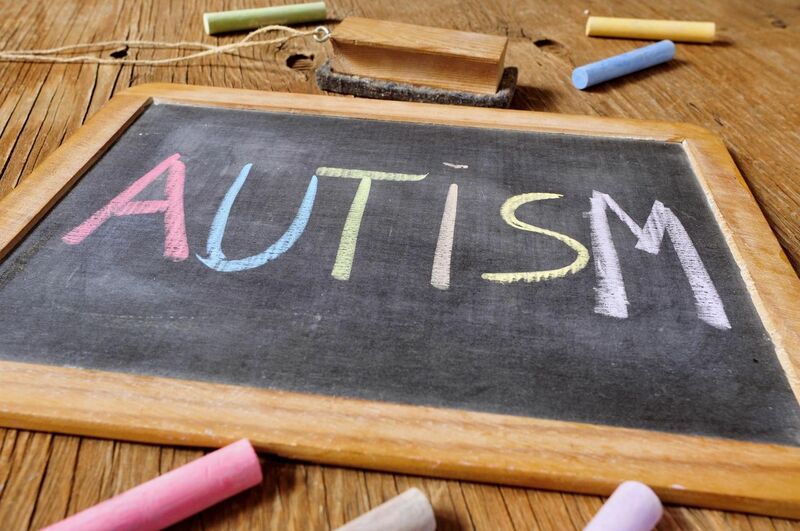 Autism in the educational setting is a huge topic to cover. I hope I did it some justice and supplied you with information you cannot typically find elsewhere in other blog posts. Please take the time to click on the links in the post as it contains the reference material used to write this post. As always, you are welcome to join us for more discussion on Autism in the educational setting at our FB group, IEP/504 Assistance for parents of public school students from all over the United States. AESA also runs a special needs homeschool group, Homeschooling Special (Needs) Kids, and we also have a group for all parents and caregivers of special needs children called Special Needs Parenting Advice and Support where we discuss ALL things related to special needs care and Educating Gifted Children is where we discuss topics concerning gifted children and those that are twice exceptional (2e). I hope to see you there! Arizona Exceptional Students Association (AESA) is meant purely for educational or medical discussion. It contains information about legal or medical matters; however, it is not professional legal or medical advice and should not be treated as such. Limitation of warranties: The legal and medical information on this website is provided “as is” without any representations or warranties, express or implied. AESA makes no representations or warranties in relation to the legal or medical information on the website. Professional assistance: You must not rely on the information on this website as an alternative to legal or medical advice from your attorney or medical provider. If you have any specific questions about any legal or medical matter, you should consult your attorney or medical service provider.